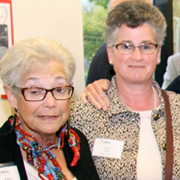 Fleur and Carol Bresler find that volunteering is a meaningful way to spend quality time with each other while making a lasting impact on the lives of others. Their time at Food & Friends is a reminder of how illness touches us all. And, while some volunteers come to Food & Friends without having a direct connection to the mission, Fleur and Carol were drawn to Food & Friends for deeply personal reasons. Fleur’s son and Carol’s brother, Bill, was a Food & Friends volunteer who became a client in the late 1990s. Ultimately, Bill lost his battle to AIDS in 2001. What started out as a gesture to help Fleur and Carol’s family during a difficult time, has become a longstanding tradition for these two. “Volunteering makes me feel connected to the community and connected to my brother who is no longer with us,” says Carol. In 2001, Carol started volunteering on the capital campaign to support the construction of our currently facility. She then joined our Board of Directors in 2001. 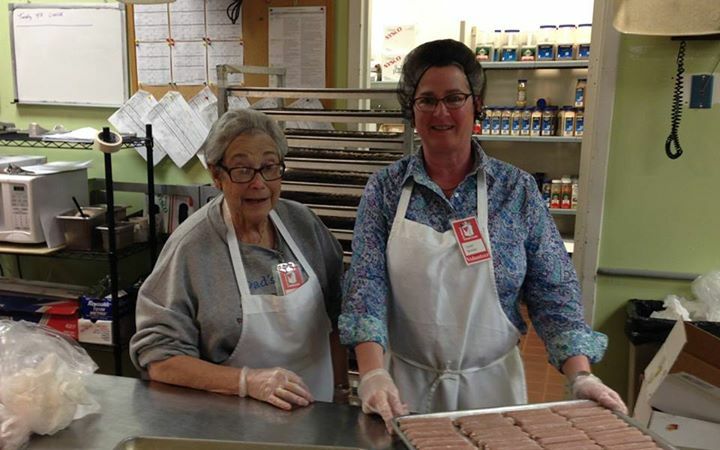 Both Carol and Fleur took on a regular kitchen shift in 2011. Carol enjoys the camaraderie of volunteering with her mom and feels like she is making a difference. 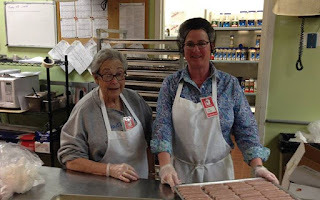 Both Breslers believe Food & Friends is unique in its approach to caring for those in our community facing life-challenging illnesses as well as their caretakers and family members. “There are still very sick people in our community and it impacts the entire family. There is always more work to do,” says Fleur. Every Food & Friends volunteer has his/her own story. Fleur and Carol, like the many other volunteers who assist us, may have come to Food & Friends for a specific reason. But they stay because of the happiness they experience being a valued member of the Food & Friends family.